A superb, awareness-raising initiative by the Kansas City Fed designed to engage a diverse audience, be it a Fed watcher or someone how knows little about the US central bank: Kids Ask the KC Fed. The series of short interviews are based on questions children have asked when visiting the Kansas City Fed. The questions—asked by a child host to a Kansas City Fed employee—focus either on a particular job or an aspect related to the Bank’s work or both. In Episode 1, a schoolgirl asks Esther George, KC Fed President, obvious questions, such as "What does a Federal Reserve Bank president do?” or “What’s your favorite thing to do at work?”. Worth watching, or following as a role model. “Among the main points of discussion were the decisions of the recent meeting of the Bank of Russia’s Board of Directors, inflation expectations and risks as well as economic forecasts. More than 50 representatives of local and international investment funds, including from the US, UK, and continental Europe, participated in the meeting and the call. The Bank of Russia will be holding regular meetings and teleconferences with institutional investors to increase information transparency and provide an insight into the Bank of Russia’s monetary policy. Russia’s central bank will organize such meetings and teleconferences on a quarterly basis, following each publication of the Monetary Policy Report. There seems to be a clear trend emerging: Central banks increasingly employ communication techniques pursued by commercial companies in establishing a two-way dialog with key stakeholders. Average satisfaction with BoE's policy since 2001. Central banks have increased their engagement in the information and education of the broad public. But what can be said about the nonprofessional’s knowledge of monetary policy and central banking? Based on the Bank of England’s Inflation Attitudes Survey, I construct a score to capture the central banking knowledge of the respondents. I show that the average British person displays limited knowledge of central banking. At the same time, the data reveal that satisfaction with the Bank of England’s policies increases with a better understanding of monetary policy. “No one can be forced to learn. People may simply have no incentives to learn about monetary policy, especially if they are generally satisfied with the central bank … All the more, ignorance in monetary policy may be appropriate, as monetary policy knowledge is less necessary in everyday decisions than financial knowledge. The Central Bank of Seychelles has unveiled a beautiful logo to use throughout this year to commemorate its 40th anniversary. The Bank opened a public competition to pick the logo, another example of a central bank reaching out to the wider public to seek design and artistic ideas for its creative visuals. 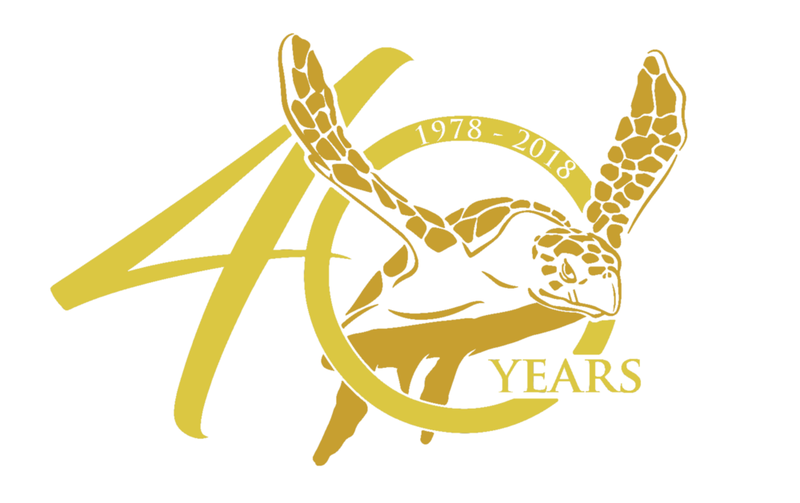 The central bank of the tiny island nation already has one of the nicest logos among central banks worldwide, and it now has a beautiful 40th anniversary logo as well. Exchange rate forecast: The confidence intervals of the CZK/EUR exchange rate forecast reflect the predictive power of past forecasts (from the period before exchange rate commitment). They are symmetric and linearly widening. The Czech National Bank (CNB) resumed the publication of a numerical exchange rate forecast in the form of a fan chart in a move that it said was part of the normalisation of its monetary policy. This re-establishes an extraordinary level of forecast transparency which was temporarily curtailed in late 2013 as a result of an out-of-the-box policy decision. Now the Czech central bank returns to the practice launched in 2009 when it became the world's only central bank to publish forecasts for the nominal exchange rate against a specific currency in numerical form. As heralded in my January Q&A with Jan Filáček, my former colleague and Deputy Director of Monetary Policy and Fiscal Analyses Division at the CNB’s Monetary Policy Department, a smooth exchange rate forecast re-launch had been foreseen by Czech central bankers. Although the exchange rate forecast may not materialise, it gives market participants a guide to the future monetary policy stance. With knowledge of the exchange rate that the central bank uses in its forecasts, they can better assess how new information affects the balance of risks to the forecast. As a result, they can better understand the Bank Board’s decisions. For example, if the exchange rate is appreciating faster than forecasted but the prediction is materialising in all other respects, it is likely that the central bank will compensate for the greater tightening of the monetary conditions via the exchange rate by tightening policy less via interest rates. If the markets take this into account, their expectations of future interest rate growth will be lowered, which in turn will lessen the rate of appreciation. Therefore, publication of the exchange rate forecast by the central bank has a stabilising effect. This is ultimately beneficial to the whole economy. The Czech experience of gradually increasing, and in the case of the exchange rate forecast even temporarily decreasing, forecast transparency offers plenty of food for thought to central bankers from low income and other developing countries that are modernizing their monetary policy frameworks. The Bank of Lithuania was picked by Central Banking as the website of the year in the industry. The winning central bank says the strong point of its website is its user-friendly information architecture. A key feature of the new website is how each of the central bank’s functions (eg, monetary policy, payments, reserve management) is explained to the user. Large blocks of text peppered with technical terms have been replaced with short introductory paragraphs, videos, infographics and links to further information. The videos are particularly eye-catching … The videos succeed in making the content resonate with its entire audience. While other central banks have also used video, the consistent application across a website is rare, as is the quality. The Bank of Lithuania’s website was launched in April 2017 following a revamp which involved more than 100 employees in a development project that took about 17 months. As the site evolves further, the Bank plans to create and feature more videos on financial education as well as personalise the presentation of statistical data. This is the lingo of an academic paper. The Central Bank of Ireland has won Central Banking’s Transparency Award for taking a “proactive approach to openness” and progressively revealing more of its inner workings to rebuild its credibility in the wake of the global financial crisis. The CBI has had to work hard in winning back the public’s trust. It might have tried doing so by keeping as much hidden as possible, by increasing its opacity. Instead, it has opted for a diametrically opposed strategy: to embark on a process of educating the Irish public about complicated financial matters, and to open up more and more of its own workings, in an effort to win public support. The CBI may come to stand as an example to its peers of how to deal with a loss of public support after a crisis. Its transparency initiatives have been a model of a central bank winning back respect by speaking clearly and honestly to the people it serves. In my view, the Irish central bank clearly stands out from the field for publishing lots of detail about internal proceedings, travel expenses, salary scales and contracts, and also for its outreach activities to financially educate the public and explain what it is doing and how in a simple and illustrative way. Alan S. Blinder, a Princeton University scholar and former Fed official, has made a couple of predictions on the future of monetary policy communication for the next few years. His academic account to a large extent fits my perceptions of the general trend in central banking communication, based on my practical experience with central banks modernizing their policy frameworks. Below I quote, and comment on, two of the Blinder’s six predictions. Blinder’s prediction # 1: Transparency about monetary policy will increase over time. My comment: There is indeed a global trend among central banks towards greater openness, and it is particularly visible in currently less transparent central banks of many low income and developing countries. As soon as a central bank modernizes and aims to become more forward-looking in policymaking, increasing policy and economic transparency becomes necessary. The only detail I would dispute is that there “never” is a way back once a central bank opens up. As illustrated by the recent case of the Czech National Bank, a temporary restriction on transparency, at the very least, remains a viable option at policymakers’ disposal should they decide so in the interest of their policy effectiveness. Blinder’s prediction # 4: Central banks will keep trying to communicate with the general public, as they should. But for the most part, they will fail. My comment: Here Blinder has a point. As marketing guru Seth Godin has put it, nowadays “there's so much noise, so much clutter... that hoping that (people will) listen closely and carefully enough to figure out what you mean is a recipe for frustration.” And Godin offers a simple alternative: “Maybe, instead of insisting that people listen more closely, you could speak more clearly.” This is exactly what most advanced central banks, with those less advanced in their wake, have been painstakingly striving for: Use as plain and clear language as possible to explain themselves. As Blinder concludes: “It’s high time that central banks, which have travelled a long way down the communications road already, cease viewing words as scarce commodities to be given only grudgingly. Montagu Norman was wrong; they should explain.” Indeed, gone are the days of Montagu Norman, the Governor of the Bank of England from 1920 to 1944, who is often cited as saying that the role of a central banker was: “Never explain, never apologize”. Blinder made the predictions in a paper titled “Through a Crystal Ball Darkly: The Future of Monetary Policy Communication”, prepared for the Annual Meetings of the American Economic Association, Philadelphia, January 6, 2017. The Czech National Bank has long been seen within the central banking community, and in markets at large, as a prime example of an inflation targeting central bank using consistent macroeconomic forecasts to guide expectations. Gradually increasing transparency and developing elaborate communications has been critical to broadening understanding and gaining credibility for its forecasts, and policy. By 2009, the CNB had completely opened up and provided full forecast transparency, publishing not only the projections of inflation and other key economic variables but also the forecast-consistent trajectories of interest rates and the exchange rate. It was not a smooth sailing all along, and — in an exceptional move for one of the world’s most transparent central banks — the CNB cut back on transparency and ceased the publication of the FX path in 2014. By removing the FX path from the public domain the Czechs defied the argument that when a central bank opens up, there is no way back. Sure, each incremental step in increasing transparency needs to be carefully thought through. Still, I cannot help but conclude that the Czech example seems to be proving that there indeed is a revolving door for transparency to go back and forth under certain circumstances — a case illustrated by the CNB’s readiness to re-publish the exchange rate forecast from February 2018. With that in mind, I asked Jan Filáček, my former colleague from the Czech National Bank who recently represented the Bank at the European Central Bank’s communications conference, to evaluate the Czech experience in gradually increasing economic and policy transparency. As Deputy Director of Monetary Policy and Fiscal Analyses Division at the CNB’s Monetary Policy Department, Jan has long been involved in designing the CNB’s transparency and policy communications practices. This post is another in a series of Q&As on central banks' transparency and communications that I keep running on Lombard-Rates.com. The Czech National Bank has followed a gradual approach to increasing economic and policy transparency. In 2002, it first published a model-based unconditional medium-term projection of inflation, while providing only verbal comments about future movements in interest rates. What were the most important lessons learned at the beginning of this process of gradually opening up? The process of increasing central bank transparency is gradual by its nature. It is similar to a child growing up. The kid needs to start with small steps before being able to run. After each improvement, a central bank has to evaluate the outcome and carefully analyze whether the observed benefits have indeed exceeded the costs. Also, central bankers have to get used to each newly introduced communication tool in order to use it properly. In the same vein, the audience – financial analysts, journalists, and broad public – are only gradually becoming accustomed to novel ways of central bank communication. As you mentioned, we started using the so-called unconditional forecast in July 2002. Before that, the CNB assumed that interest rates will remain stable on the whole forecast horizon. This unrealistic assumption was therefore replaced by the so-called reaction function. This function captures the observed behavior of the CNB, which reacts to forecasted economic developments by changing its instrument, the 2-week repo rate. This very short-term interest rate consequently transmits to market interest rates, proxied in the model by 3-month PRIBOR rate. The trajectory of 3M PRIBOR rate consistent with the forecast was initially made public in a qualitative manner only, i.e. future interest rate movements were described verbally. The decision not to publish the numerical trajectory of interest rates was then driven by our fears that the published trajectory might be perceived as our commitment to future interest rate changes and that the market might over-react to such communication. Since 2002 we have continuously educated the public by revealing the assumptions, risks, and uncertainties surrounding each forecast, emphasizing that new information on the domestic and global economy obtained after the forecast is drawn up can change the interest rate outlook. We also stress the fact that the forecast is prepared by staff members, and the Bank Board does not necessarily have to agree with the forecast on each occasion. The CNB was the first emerging market IT central bank to reveal a forward path for interest rates as a signal regarding future policy. What were the pros and cons of this move weighed at that time? At the beginning of 2007, only two central banks in the world were disclosing their interest rate forecast – the Reserve Bank of New Zealand and Norges Bank. Sveriges Riksbank started revealing interest rate forecasts in February 2007, while a few others (Bank of England, European Central Bank) were using market expectations as a proxy for future monetary policy decisions. Therefore, the foreign experience was rather limited and only partially relevant for the Czech economy, which was still catching up with the developed economies and had a relatively less advanced financial market. Only in late 2007, five years after the release of the first unconditional forecast did the Board decide that the CNB could fully reap the benefits of going public with a numerical trajectory of interest rates while avoiding potential pitfalls. The first interest rate path was published in February 2008. The main benefits of publishing the interest rate forecast were considered to be the greater predictability of the CNB’s decisions and enhanced understanding among financial professionals of how the CNB reacts to different types of shocks. Greater predictability should result in the increased impact of monetary policy decisions on longer-term interest rates, the lower volatility of long-term interest rates, and a decline in risk premia. The major risk was that the interest rate trajectory could be misinterpreted as an unconditional commitment from the Board. Then, the CNB would risk its credibility as, sooner or later, its decisions would deviate from the trajectory. Even if professionals did not perceive the trajectory as a commitment, they could place too much weight on the information contained in it and rely less on their own analysis, which in the end could potentially impair the quality of their financial decisions and recommendations. However, the risk of commitment illusion has been successfully reduced by extensive communication, and by stressing the uncertainties and assumptions of the forecasts. The uncertainty of key variables has been quantified using past forecasting errors and published in the form of fan charts. How do you in retrospect evaluate the experience with publishing the IR path? So far, I see the experience as very positive and in line with our expectations. After each board meeting, we closely monitor the reaction of forward interest rates to the decision and communication of the CNB. Since the CNB started publishing interest rates, the market reaction has been consistent with our intuition. In situations of no alternative presented and neutral balance of risks as seen by the board members, the forward rates tend to converge towards the forecast-consistent interest rates. However, if the outlook is surrounded by higher-than-usual uncertainty, as captured in an alternative scenario or risks identified by the Board, the forward interest rates tend to react much less. In 2009, the CNB made another important transparency move: It started publishing model-based unconditional staff projection of the exchange rate to provide a complete set of information for forecast users, using fan charts underscoring the uncertainty. Again, what were the key drivers behind this transparency initiative, and what concerns the CNB harbored at the time, before going ahead with the publication? When we started to disclose the interest rate trajectory in early 2008, the exchange rate trajectory became the only hidden part of the CNB’s forecast. There was a good reason for a more cautious approach to the exchange rate forecast, as compared to the interest rate forecast. Publishing the exchange rate forecast potentially creates much more room for financial speculation, which could, in the end, lead to a more volatile exchange rate. This concern was strengthened by the fact that the CNB forecasts the bilateral koruna-euro exchange rate, as opposed to some other central banks that forecast and publish the nominal effective exchange rate. However, favorable one-year experience with disclosing the interest rate forecast and the obvious benefit of reaching full transparency in the CNB forecast led the Board to the decision to start publishing a numerical forecast for the koruna-euro nominal exchange rate as from early 2009. With this step, the Czech National Bank became the first central bank in the world to unveil a forecast for a nominal exchange rate vis-à-vis a specific currency. Did the experience with the FX rate path publication prove that some of the earlier concerns about increasing transparency were rather unfounded, and if so, in what way did things turn out more positive than originally thought? Looking at the koruna exchange rate volatility, it did not increase in 2009, or in the following years. On the contrary, volatility declined from the elevated levels seen in late 2008 and at the beginning of 2009. However, this market development was mainly driven by the global financial crisis and the fact that we started publishing the exchange rate forecast had, in comparison to this global phenomena, only a marginal effect. Considering it was a pioneer decision, I see it as a success that we did not face any major issues, and that markets correctly incorporated this additional information. I believe that knowing the CNB’s exchange rate forecast was very helpful for private professionals in their understanding of the CNB’s forecasts and their ability to check the forecasts’ internal consistency. We organize regular quarterly meetings with private professionals and they often ask questions regarding the exchange rate forecast. When the exchange rate trajectory is published, it is also much easier for us to answer these questions. The CNB lowered key interest rates to “technical zero” in November 2012, and with the room for rate cuts exhausted, it used the exchange rate as a tool to ease monetary policy in November 2013, intervening on the FX market to drive the crown weaker. With that decision, it cut back on transparency and ceased the publication of the FX path, an exceptional move for one of the world’s most transparent central banks. What were the considerations that led to this unconventional transparency decision? In 2014, the CNB ceased publication of the exchange rate forecast because with the introduction of the FX commitment the forecast trajectory did not contain any useful information. In fact, the exchange rate became an exogenous assumption of the forecast, and the koruna was expected to stay close to the exchange rate floor of 27 crowns per euro. Also, the uncertainty bands were no longer relevant, as the CNB’s interventions, either potential or actual, reduced exchange rate volatility to historically low levels. For all of this, I would not call the decision unconventional, it was rather a natural decision considering the altered role of the exchange rate in the CNB’s macroeconomic forecast. The CNB has committed to resuming the publication of the FX path in early 2018 when it publishes the new macroeconomic forecast. This would be nearly a year after it returned to “normal” monetary policy and stopped the use of the exchange rate as the tool. What led the CNB to take this long to reopen the FX outlook embedded in its forecast? As the end of the exchange rate commitment approached, it needed to be decided when the CNB would resume publishing the exchange rate forecast. In these discussions, the key argument for the later timing of this step was that the exchange rate trajectory could be interpreted by the markets as the desired trajectory and that the confidence levels (particularly on the appreciation side) could be perceived as thresholds that would trigger CNB interventions on the FX market. Therefore, it was decided not to publish the exchange rate forecast until the monetary policy returned to “normal”, i.e. interest rates returned to levels comfortably above the zero-lower bound and the koruna exchange rate found a stable footing at a new, market-determined level. These conditions were met in the autumn of 2017. After two hikes in August and November, and with the outlook of further tightening this year, interest rates are now relatively safely above zero. Also, the exchange rate has developed quite smoothly since the exit from the exchange rate commitment. In light of this, the Board decided at its November meeting to resume publishing the exchange rate forecast as from February. Do you expect to face any challenges when you resume publishing the FX path? How do you prepare for that? Personally, I do not expect any problems to arise after we return to publishing the exchange rate outlook. Of course, we need to stress at every occasion that the exchange rate path should only be seen as a model-consistent trajectory, not as a desired path or even a CNB commitment. New information obtained after the preparation of the forecast, factors not covered by the forecast and risk assessment of the Board may, and most likely will, cause the actual exchange rate to deviate from the forecast. As before, we will illustrate this uncertainty by publishing the trajectory in the form of a fan chart. The confidence levels in the exchange rate fan chart will be, like in other variables, based on the errors of past – in this case, those preceding the exchange rate commitment – CNB forecasts. The series of Q&As on the topics of transparency and communications previously featured Czech central bank Vice Governor Mojmir Hampl, National Bank of Georgia's Vice Governor Archil Mestvirishvili, and the then-new Bank of Ghana Governor, Abdul-Nashiru Issahaku. The National Bank of Ukraine used unusually “drastic” language in a comment on higher than expected inflation earlier this month, which — in hindsight — foreshadowed a second consecutive interest rate hike that caught the markets by surprise. The actual inflation came in higher than was forecasted in the October 2017 Inflation Report as food prices were rising at a faster rate. The current trend of the CPI and its components is higher than the forecast published in the October 2017 Inflation Report showing a more drastic deviation, than expected, of inflation from its target by the end of 2017. To me, the “drastic” word was the clearest possible signal that the NBU is readying to tighten policy further following its October rate hike, the first since March 2015. Central banks rarely use such strong language in official communications, unless they truly want to make their point. As it turned out, Ukraine policymakers delivered on the pledge to act to bring inflation back to their target on December 14, hiking the key policy rate to 14.5%. Seems like markets in Kiev have yet to learn to digest and properly interpret the NBU’s policy signalling. To catch even the smallest, but still useful, nuances, it may be worth paying extra attention to the central bank’s English pronouncements.